When you contract with a manufacturer to make a component part of your product, you will probably spend a good deal of time designing the part and determining the perfect plastic composite to use. Once the design and material are approved, the rest is a piece of cake, right? Actually, you’re over-looking a crucial part of the manufacturing process – the trimming of the completed part. Once your plastic part is created, all of the excess plastic will need to be trimmed away. The trim is so important, because a poor trim will result in inconsistent parts that may not function correctly or even fit into their designated spot. A poor trim can also make your part look crude if it is a visible component of your product. 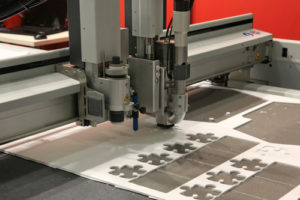 At Tru-Form Plastics, we use five-axis CNC trimming, which achieves optimal consistency and accuracy. When you entrust your plastic manufacturing to us, you can feel confident that every single part will be perfect every time!